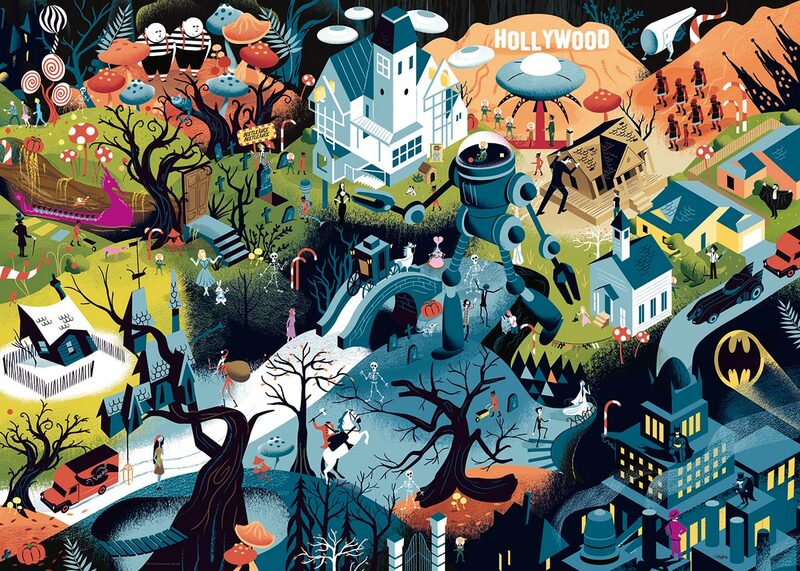 In the 1000 piece jigsaw puzzle, Tim Burton Films by Heye, an illustration of a collage of Tim Burton's settings in his films. The artist of this collage made this illustration detailed, colorful, and entertaining. This adult level puzzle has dimensions of 27.5" x 19.6" which makes it a fun and challenging activity for a long and quiet weekend.